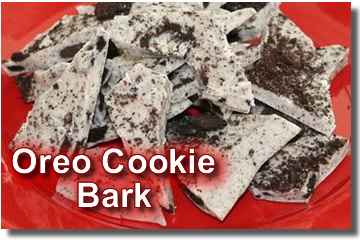 If you haven't tried Oreo Cookie Bark, you simply don't know what you're missing! Beginning with the finest dark chocolate and white chocolate, and then adding that old favorite Oreo Cookies, our Oreo Bark candy is sure to please your taste-buds. Simply choose the amount of bark candy you'd like to order from the drop down box provided and click the Buy Now button. You'll be taken directly to Paypal to complete your order. Shipping Costs: Your freshly made Oreo bark candy will be shipped in an expedited USPS Priority Shipping flat-rate box to be sure you get it quickly. Our homemade gourmet chocolate bark candy makes the perfect gift for someone you love. 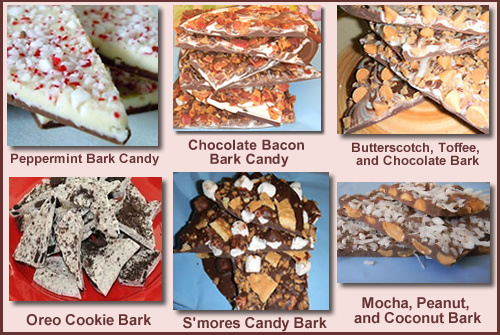 Whether the occasion is Christmas, Valentine's Day, Easter, a birthday, an anniversary, or simply to say "I'm thinking of you" our bark candy will be appreciated and adored.